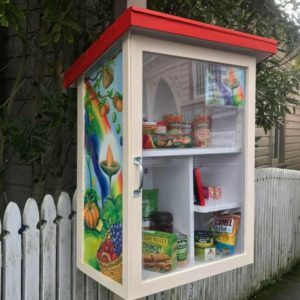 A community pantry for any member of the congregation or the public to contribute to, or take from. On Sunday 9th July we launched our Little Food Pantry. This is a community pantry for any member of the congregation or the public to contribute to or to take from. The pantry is housed in a hand-painted custom-made cabinet outside the front of the church.